The 4,000-sq.-ft. LOFT provides the perfect environment to create lasting memories with friends and family. 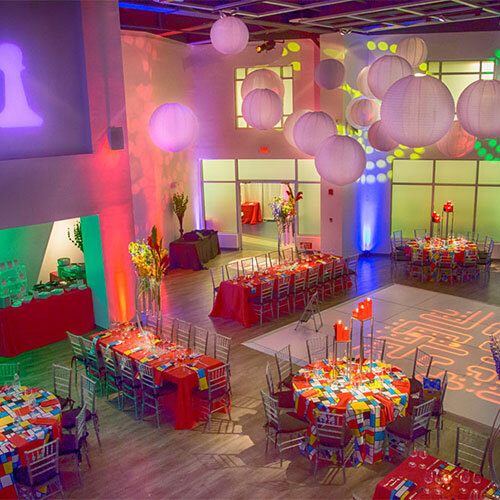 Celebrate during an evening of dinner and dancing in this high-end industrial-style event space with soaring ceilings, which provides an elegant canvas for a variety of themes and styles of décor. NGE is a full service, family-run catering and event planning business, dedicated to providing remarkably prepared food and exceptional service to clients. Restaurateur, caterer and event designer, Nikki Glekas is the founder of NGE, and has been a fixture in Stamford for the past 10 years, owning and operating the award winning EOS restaurant and also Bank Street Events, a two story event space for social and corporate functions.